The Floating Dragon was my attempt to tie a buoyant dragonfly nymph to be fished on a sinking line for trout. My intent was to suspend the fly above vegetation while slowly stripped. The trouble I had was the sinking line would become buried in the weeds and the fly would be dragged down into it as I stripped. 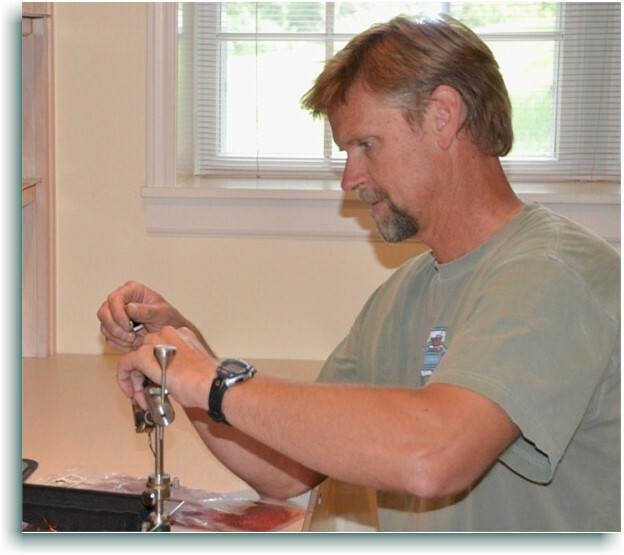 I picked up my rod with a floating line and tied it on just to examine the action of the fly near the surface. As I cast and retrieved just to experiment with it, I noticed a 24” trout curiously following the fly! He never did bite, but it gave me some new confidence in using this as a surface fly. I have since used it with some success with large, high desert trout; but the real success turned out to be in much warmer water. After a morning on a trout lake, I stopped by a farm pond for some bass. I only had my trout flies which included some buggers and the floating dragon. The Dragon turned out to be a huge success with bass! The fish were pretty wary and I was making delicate casts into a corner of the pond. After twitching the fly a couple times, a bass would slowly emerge from the depths to examine it. The fish would get so close the fly was practically sitting between its eyes. One more twitch and “WHAM!” This went on all afternoon and evening. Since that day the floating dragon has been my #1 producing bass fly. It takes fish on the surface even mid day. The fly is not a high floater, but a “film-waker”; and creates a nice, subtle “V” wake. Even in windy conditions it will ride just under the surface and draw boiling strikes from even wary bass. I have recently incorporated a weed guard which has taken this fly to a whole new level! Dropping the fly in a hole within the weeds is deadly! 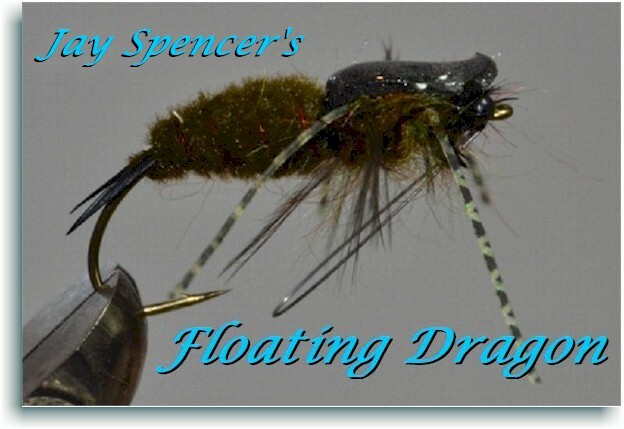 The Floating Dragon can also be tied to sink so give both ways a try. This entry was posted in Authors, Hot Flies, Jay Spencer, Jay Spenser's Floating Dragon. Bookmark the permalink.